You could find them on walls or in plazas, as part of mosques and freestanding, at corners, in rooms and even as cabbage-headed columns. These were the forms of fountains that adorned Istanbul in the Ottoman period and they can still be found today if you know where to look. Over the centuries Istanbul met the water needs of its citizens by building aqueducts from distant sources, for its time as the capital of the Eastern Roman Empire in the 4th century. With repairs and rebuilding the water system, the Byzantines kept the water flowing but by 1453, when the Ottoman Turks conquered the city, it needed a complete overhaul. The addition of new water sources had to wait until the reign of Sultan Süleyman the Magnificent (r. 1520-1566) in the next century. One has to assume that the Byzantines had fountains because the Romans did, but today no trace of these remains. 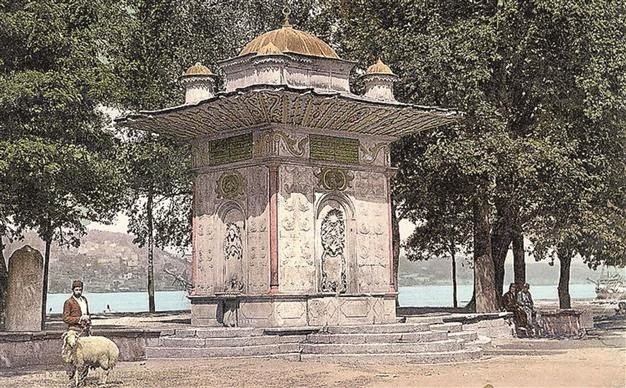 Instead we have many fountains from the Ottoman period the were common until pipes bringing water directly into individual houses were laid in the 19th century. An important difference between the Ottomans and those who went before was that the former expected, (and where ritual purification was concerned required), that water be flowing: The hamam vs. the bath. The answer was to build fountains throughout the city, an idea probably taken from the Persians and the Seljuks as the nomadic Ottoman Turks passed through Iran and today’s Syria on the way to Anatolia.